I was raised in the Course of Miracles, but had never really studied the course myself- I always found it so confusing. I just randomly started listening to these podcasts and for the first time I have really started to understand the course and it has inspired me to start my own self- study. Please do more podcasts!!! Thank you, Philip! This is the first resource I found before starting to study the course. The first few episodes were so fascinating and so jaw-droppingly truthful, that I picked up the book so I could read along. It has been exactly the perfect thing for me. (I will say the audio is very inconsistent, but who cares about audio when you’re in the process of waking up?) Namaste. listen. it is really good. Phillip Urso, has taken the ACIM course to sharp clarity which helps with understanding and acessability. i really appreciate his unique gift. So helpful to understand ACIM! During the periods in my life when I couldn't swallow the dense words in the text, or do the workbook, I would turn to this podcast and listen over and over. Eventually, my mind would clear up and I could start reading the actual Course again. When I did, reading it was easier. A Course in Miracles is the diamond. A Crash Course in Miracles is the best supplement I have found so far. Thank you Philip Urso! many may not ready for this level of truth & honesty. so glad I found these podcasts. they stay on my phone for weekly reference! please keep them coming. THANK YOU!!! Philip, I appreciate how 'user-friendly' your podcasts make ACIM. Your approach is authentic. Your journey helps my journey and you're getting better and better! For anyone who couldn't give these amazing podcast a five star rating, it's just not time for you to get it yet, but you will because you are seeking. To anyone Else considering listening to these podcasts, be prepared to have your whole world changed! When I began listening to these podcasts, I finally realized I am not alone in my thinking!!! Thank you Philip and all your friends for all the time and effort you put into sharing this amazing and life-changing information. I could kiss you all! A thousand thank you's!! Namaste!!! I couldn't listen to more than ten minutes of the first one I dowloaded. First of all, it's recorded in surround sound, which kind of sounds cool but is actually quite annorying. There were two speakers, one on my left earphone and one on my right. So one guy talks and you hear it left then the othe rguy talks and hes on the right. Pointless and really annoying. Secondly, the guy on the left kept breathing right into the mic. when he wasn't speaking. So i hear one guy breathing in my ear to the right and one guy talking on the right. How could anything listen to this? ? ? / ? Thirdly, the impression I got was that they were horrible hosts. The opened they first five minutes with chuckling and jokes and stupd one-linerrs. It sounded like one of those morning radio shows with random things be ing discussed. Maybe if you like that kind of vibe for a show you may enjoy it, but I was quite intreested in the topic until these guys turned it into a pointless dither. I can not begin to express my gratitude. These podcasts have changed things for me on such a deep level. I am so very appreciative. Thanks to all involved. I am on a lifetime journey and this podcast has accelerated the positive change. I hope to see more podcasts soon! I loved this podcast but then it just stopped being updated. I was glad to see a new one post and with a very good interview. But it did seem strange that there was no comment or mention of what happened to the podcast or when a new episode might be expected. I can't give it higher than an ok rating due to the missing communication. I discovered "A Crash Course..." by looking for yoga podcasts to enhance my practice. I found Philip's power yoga classes, and thought they were so well-taught, focused on yoga's greater goals and full of lightness and humor that it was natural that I should see what else he was offering on itunes. Through the shared classes of "A Crash Course..." the world of "A Course In Miracles" opened up for me. The book itself can seem daunting, especially in the beginning, but these podcasts are classes you get to sit in on and the messages and themes of the Course, which are inherently simple, are brought out beautifully. You hear people ask questions that wrestle with the stumbling blocks of life that we all wrestle with, participate in the search for meaning through the class and come out smiling on the other side with the teachings that dissolve all misunderstanding. The Truth is woven through all of these wonderful discussions and in my experience, it sets the listener free. You probably won't look at the world in the same way after these classes get your funglasses on and your mind open to the awesomeness that is yours mine and ours 24/7. I'm so grateful for finding this! More, please! I've listened to all of them, SEVERAL times, and they have helped me so much, but I will work on forgiving the need to have more. Thank you for all you've done so far, I've savored every single word as it has brought me to clearer and clearer understanding of the Course text and workbook and really gave me a grasp on a lot of previously misunderstood content. 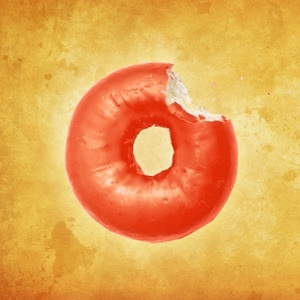 My inner teacher pointed me to you and all podcasts ring with my inner truth and help me to remove more and more pieces of my red donut. Thank YOU! I listen to this podcast when I run. The discussion style constantly brings up new things ( as if the text doesn't do enough of it already). This is a great podcast. I'm happy to listen to it again and again. Very insightful. I love this podcast. I discovered it about 2 1/2 years ago when I first delved into the Course. It simplifies it, which is no small task, and makes it entertaining -- and real. I stepped away from the Course for about a year and just "returned," and decided I should return to this podcast again. I'm working my way through all episodes again from beginning to end, and hearing things I missed the first times through or have forgotten. I feel like Philip, Lisa, Liz, Steve, Linda, Pat and Stacy have become good friends -- people whose company I would enjoy keeping. They make me feel not so alone, since most people in my day-to-day life have no interest in/familiarity with ACIM, and frankly, think I'm off my nut. Although the recent video formatted podcasts are nice, and creative, I miss the discussion group styled ones, which are more off-the-cuff and conversational, and easier to listen to on the go, in the car, etc. I would like to see (hear) more of those back in the mix. Blessings to all who participate in the production of this program. It has been a true gift. Where oh where has my Crash Course gone? I adore the Crash course in Miracles. I have been studying with the course for about a year now. I kept thinking each week that a new podcast would be posted, but it seems that Philip Urso & class may be on sabbatical. Please comment if you'll be returning soon. Regardless, the podcast is brilliant in content and in presentation. I highly recommend it to everyone. I am even eating ice cream again thanks to the Crash Course! I love this app, I love Philip Urso's way of bringing things to light around the Course in Miracles in a way that is calming and revealing. It's great to have him on the go, and know I can access the when i want it. There is always some insight that brings me closer to the truth and gives me comfort. Thanks! This is a wonderful ACIM round table discussion, (I'm on podcast #5), I've learned so much already. I just thought that refering to the ego as a "war on God" is not wise. Why create this internal conflict, why give the ego that much power? Perhaps one could consider disarming the ego. Simply observe the ego and perhaps treat it like a child that's having a temper tantrum, don't give it too much importance. Just a thought from a new student of ACIM. This crash course change my whole view about my relationship with others. Highly recconmend it. I started listening then went out and bought ACIM text... the podcast really helped with bringing the text to life. Please make more... k.
I tried the Course in Miracles in 1987. Went through the classes and it was to dense to grapple with as the metaphysics of the course can make you struggle. Phillip Urso, has a unique way of bringing the barriers to grasping the concepts of the course. Best of he adds humor to it. I'm always listening to his podcasts in my car. Keep it up Phillip!!! I have had the ACIM text in my library for at least a couple years but had not started reading it. Then I discovered this podcast. It wonderfully explains the major concepts of ACIM in a very clear style with humor and with discussions involving people at various levels of knowledge of ACIM. This is a great entry point to ACIM! I highly recommend it. Great podcast. Really makes ACIM easier to understand and use. I love the real lfe examples. This podcast gives the text real world context. Keep them coming Mr. Urso...great work! I have been a student of the Course for the last two years or so. And although I understand and accept the concepts pretty clearly, it wasn't until I watched this video that I was able to put the mirroring concept into the context of my current situation. I began asking the HS to transform a particularly attracting yet unsettling relationship to a Holy Relationship since January of 2008. I received Holy Instances as I progressed as a student. Yet I have been unable to reconile the final lesson with this person for the last two months until today. This video presented the mirroring concept in such a way that I was able to attain the finaly Holy Instant with regards to this relationship. I was able to finally forgive myself and my brother tonight. Finally I saw he was truly one with me. Thank you for being the mirror of the HS in me. You do not know how grateful I am. Thank you, thank you, thank you!!! Get rid of Mr. Urso, and these podcasts would be fabulous! I love this pod cast! I am a student in the course and I find the discussions helpful, insightful and very fun! (I find myself laughing out loud) Love the addition of videos to help explain foundational concepts. Thank you Philip for creating this pod cast! Philip Urso et al. consistantly do an incredible job presenting the fundamental spiritual principles of A Course in Miracles. I highly recommend this podcast to all with an interest in the Course. Keep up the great work guys! Namaste! Making the trip SOOO easy! This podcast will awaken you to what is True. I now have an understanding of this ego. I've enjoyed all these podcasts so much but Episode 28 was so brilliant! Thank you Philip and everyone else involved in these productions. Keep them coming please. Both audio and video. Bless you. Phillip is laughing on every podcast! There must be something right that he has learned from the Course to give him joy in his day, and that was worth going back to the begining to start listening to the podcast. The videos are fun too. I am getting the Course to study myself, continue to get the podcasts, and get rid of my red donut! Thank you to all participants of the podcasts. Sometimes hard to hear all the people speaking but always worth the effort. My favorites are the three podcasts with Nouk Sanchez and Tomas Vieira. I listen to them over and over. Thank you Philip! I have been reading ACIM off and on for a few years now and this podcast is a wonderful companion! Philip Urso expresses himself as a real person (not some kind of sage on a pedestal) and brings to life key messages from ACIM with humor and compassion. His excellent guest speakers are thoughtful people who have a real passion for breaking down the barriers we build to God. My only disappointment is I wish it was more frequent since I always seem to lose my patience waiting for a new episode. I really enjoyed the format of presentation, spliced images with visible text...very easy to comprehend and apply within the conscious mind (and subconscious). Short and sweet. Thank you! I highly recommend this podcast to anyone interested in ACIM, whether you are new to it or have studied for years. It is very true to the course, easy to relate to and a great inspiration. It's fun and will hold your attention. I had heard of A Course In Miracles, and wanted to know more about it, so I started by listening to episode one about the red doughnut. Philip and everyone involved make the ideas really come alive in a beautiful and easy-to-understand way. They are all very honest about the difficulties they have (that we all have), and they are able to laugh at all the circumstances. I'm very grateful for this podcast. My only complaint is that I wish it came out more often. Every time a new one is available I devour it, and I want more. (Hm, is that the ego talking?) Keep up the great work! Changed my life forever! I've been listening for almost a year now and my life is completely different now than before I started. Even if you're not into spirituality, the concepts in the podcast are so truthful and common sense that anyone can improve their life by using the teachings. I love this podcast! It has made ACIM so much more relatable. I feel more able to apply it to my life. It also has helped me delve deeper into the Course. My only complaint is that they are not frequent enough. I got spoiled, as I stumbled upon them a year ago. I was able to listen to the first 16 podcasts one right after another. Keep them coming! This is a great podcast!! I love Philips podcasts. I have found them really helpful in my own transition as I am a new ACIM student and just began doing the workbook. There always seems to be a topic that really helps me out with understanding some of the transitional growing pains so to speak and I find that the conversations are relaxed, and inviting to listen to and even funny! I think that Philip does a great job and I reccomend this podcast to any ACIM student. I look forward to listening to many more. Keep them coming! It put everything into perspective. I've listened to all 21 within the last 2 weeks and was so happy to see the new one today. YAY number 2 has arrived. I have been looking forward to this next installment after I watched the first videocast. The video format, for me, is much easier to follow and helps me grasp more key concepts of ACIM. I really enjoy these! Feeling several ah-ha moments along the way. Thank you for your efforts. Fantastic job! Hip, Cool, Real, Sick ! Philip does a great job of keeping the discussions on topic and sticking to the non-dualistic nature of the course. These discussions are enjoyable to listen to. I find it frustrating at times that I can't add my two cents to the conversations, but I realize that sometimes it's better to just sit back and listen, especially when the other people can't hear you or respond to you anyway. These 21 (at present) podcasts really are a crash course in the principles of the course. It is a great refresher or introduction. For me it is a bit like an igniter. It sparks awakening and maybe adds a little fuel to the fire that is just waiting for some additional heat to burn through the clouds and fog of illusion. Kudos to the whole group for these podcasts! Thank you all. I have just started listening to the actual 56-CD set of ACIM and I listened to all of Philip's podcasts out so far before I started the CD set. It's so nice to have some of the basic ideas explained through Philip and the others in the podcast. Even if you don't want to take on ACIM right now, you can still get something from just listening to all of these. He's funny and makes it easier to understand. I wish he was closer to where I live so I could attend the classes in person. Out of all the podcasts for ACIM, this one stood out for me and I haven't regretted it. My only comment is I want more podcasts. He doesn't post them enough. I'd love to hear more and even go a little deeper into the course by lessons.